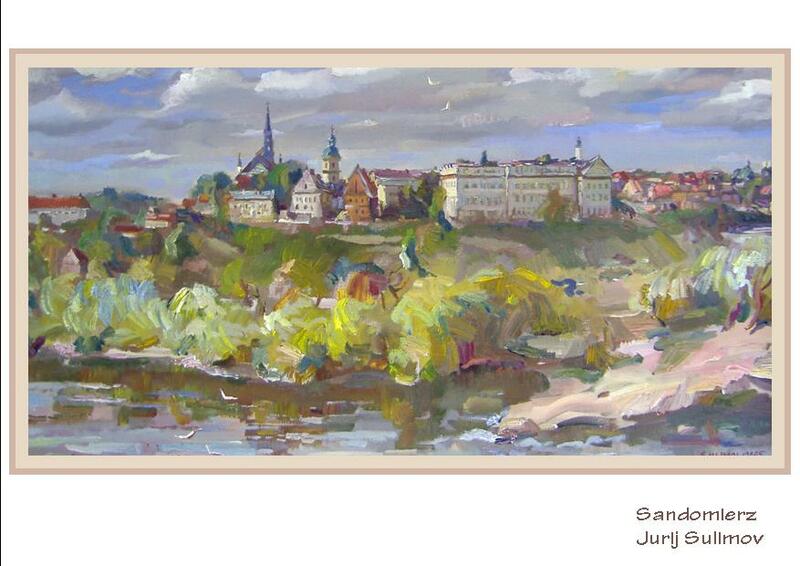 Newark is twinned with three towns, Emmendingen in Germany in 1983, St. Cyr sur Loire in France in 1992 and Sandomierz in Poland in 2006. 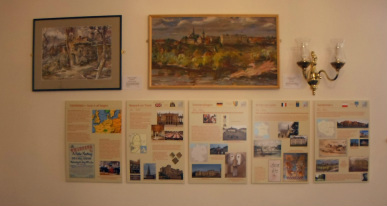 We have a varied and interesting selection of gifts from these towns on display. 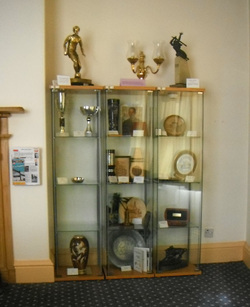 Most of the items in these cabinets were given by Polish visitors coming to view the former grave of General Sikorsky, National War Time hero of Poland, who was killed on 4th July 1943 in Gibraltar, and buried in Newark Cemetery on 16th July 1943. 50 years later he was exhumed and on 17th September 1993 returned to Poland, where he was buried in the Hall of Kings in the Wawel Cathedral, next to the Polish Kings and greatest Polish national heroes. There are some 30 Newarks worldwide, 26 of which are in the United States. Some are very small villages (bush stations in Australia and South Africa). Newark on Trent is the 'Mother' town. 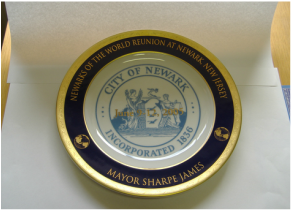 Commemorative Plate from Newark New Jersey.